It is proven that singing is great for both physical and mental well being. 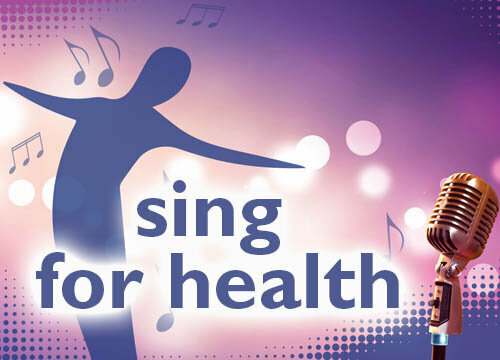 Singing has been shown to support a wealth of health benefits, both physically and mentally. Experienced singing-for-wellbeing facilitator Marina will be leading our new weekly group singing classes. Sessions are run by singing teacher Marina in a friendly and relaxed atmosphere. There are no auditions or solos just lots of fun. Starting Monday 13th November 11am-1pm. Sessions are £2.50 and include a free refreshment.